Today I made simple little tassels to go on pouches. 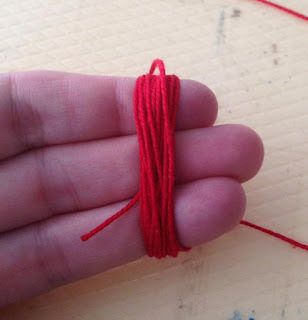 The first step is to take the thread you want to use and wrap it around your fingers. I used three fingers because these tassels will be small. Four or five fingers would make bigger tassels. 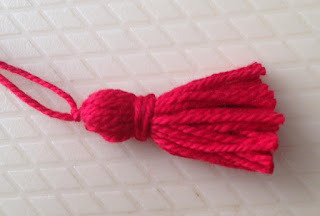 I used crochet cotton for these tassels. Once the thread is in the centre of your loops, tie it off securely. 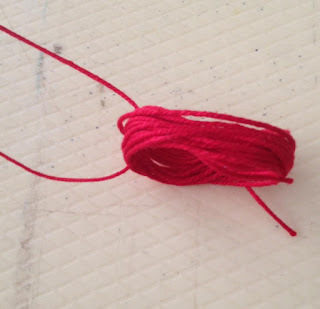 I do it a couple of times with a double knot at the end to make sure it is very secure. 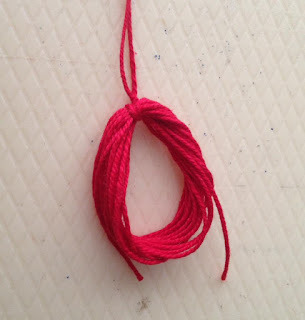 Next, smooth the loops out and make sure they are all lying together and there are no big bulges. Take a smaller piece of thread (15-20cm approximately) and tie off the loops. 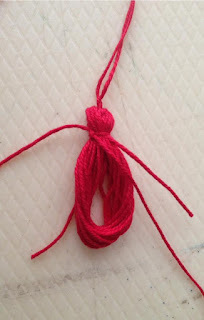 The distance you tie off down from the first knot will be how big the ''head'' of the tassel will be. Continue to make sure all the threads are laying nicely and nothing has got caught up or is bulging out. I tie off and then wrap and tie off again to make sure everything is nice and tight and strongly secured. 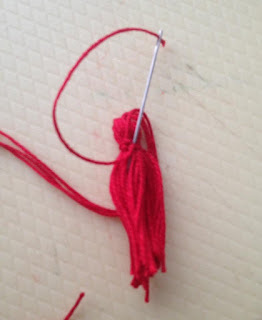 I thread the ends of the tie off threads through a needle and thread them back under the horizontal wrapping so that they end up sticking out with all the other thread ends. Finally trim off the ends of the threads so they are neat and the desired length. I tend to trim the edge ends a little shorter so that the tassel ''skirt'' has a slight bell shape rather than being cut straight across. This is a matter of personal preference. 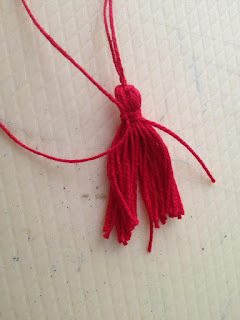 If you wanted to decorate the ''head'' of the tassel, you could do it now. The finished product ready for attachment.